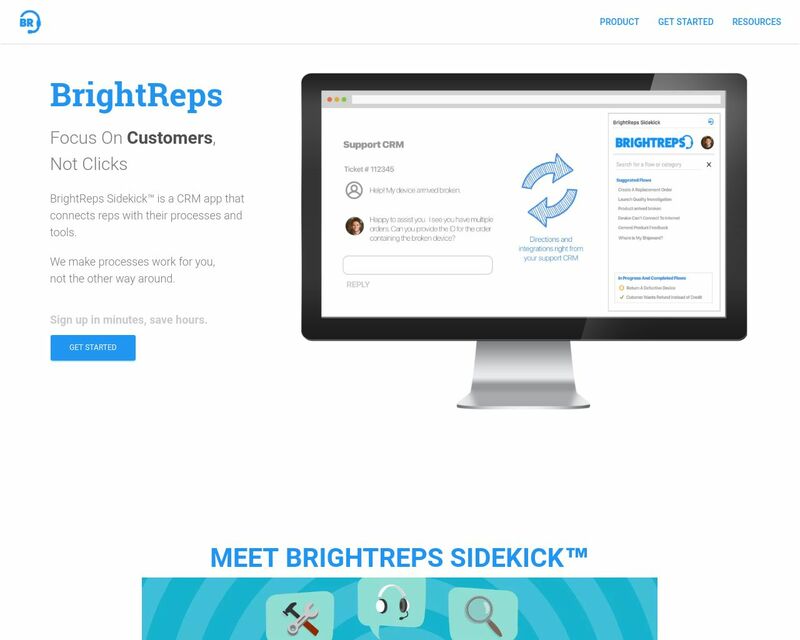 BrightReps Sidekick™ is a CRM app that connects reps with their processes and tools. Our AI technology automatically routes and classifies tickets, provides quick and accurate response recommendations for your agents, and automates common ticket responses. We use intelligent automation to mimic the decision making of your best agents.